What is the Flashcard feature? The Flashcard feature is a great feature that you can use to enhance your app! 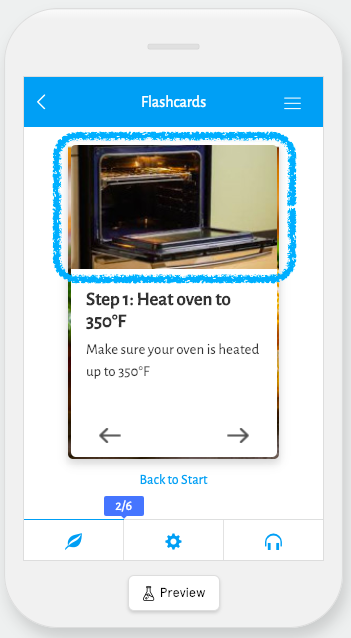 With this feature you can use it to include educational flashcards, recipes, company talking points, or any other number of uses. In this article we’ll go over the Flashcard feature and how to use it. What are some use cases of Flashcard feature? 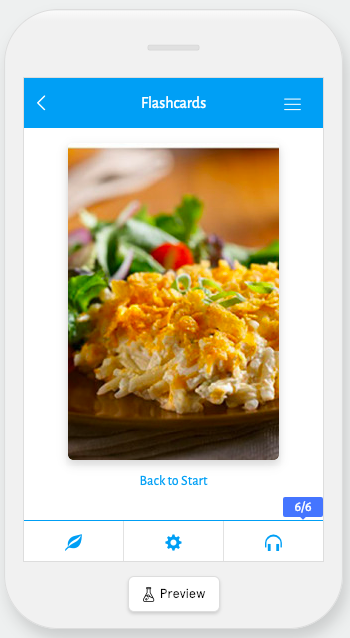 If you’re creating a cooking app, you can use the Flashcard feature to give your users step-by-step instructions with images for recipes. You can pair the Flashcard feature with the Seminar and Lecture Notes feature to give your users a way to quickly remind themselves of the most important talking points of the lessons or presentations in your app. Does your church have small groups? You can use the Flashcard feature to give people talking points related to that week’s sermon, or the book they’re going through. 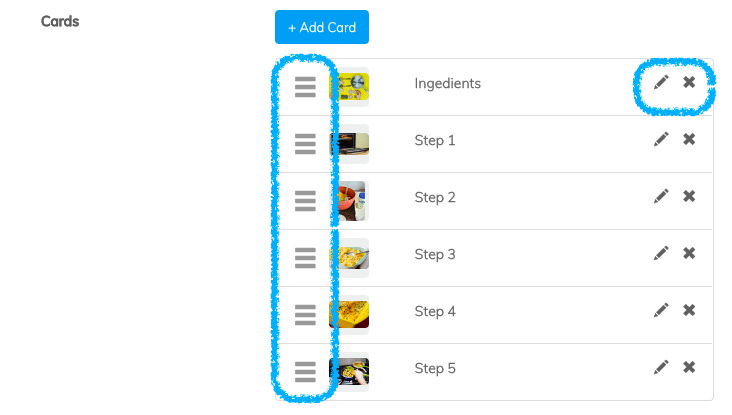 What is the Flashcard feature’s primary function and what are the steps to accomplish it? The Flashcard feature allows you to set up flashcards within your app. What you decide to display on them is up to you! Let’s go over how to set it up First we’ll go over the main sections of the app, then how to create a flashcard in the feature. This option allows you to toggle between displaying your flashcards in a list format, or individually. If you have it set to “on” your flashcards will display in a list format. You also have the option to display the subtitles that you’ve set for your flashcards while they’re in list format. In this section you can manage all of the flashcards that you have created. You can edit, delete, or rearrange their order. Next we’ll go over how to create a flashcard. 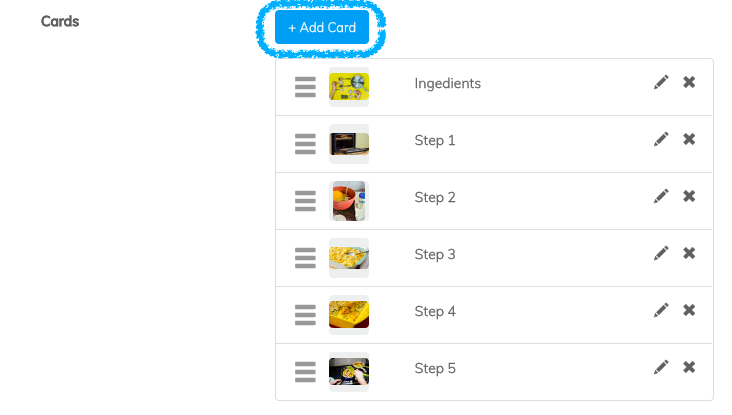 When you’re ready to create your first flashcard or add a new one, click on the “+ Add Card” button. When creating a new flashcard, you’ll need to specify a title that will display on the front-side of the card. 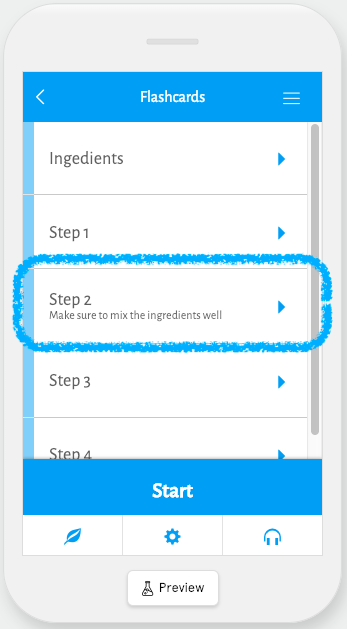 This can be anything from a question to the next step in a recipe. Later on we’ll go over how to change the graphics on the front-side of your flashcards. To add a title to the front-side of your flashcard simply type it into the “Title” box found in the “Front” section. Next you’ll move on to the “Back” section where you’ll be prompted to give your flashcard a top image or video. This is optional, but we recommend doing it to give your flashcards a bit of visual flair. If you would like to use an image select “Image” under “Card Style”. Then click on the gray image box which will bring up the media library where you can either upload a new image to use, or select a previously uploaded image. If you don’t know how to use the Media Library, you can learn how to do so here. 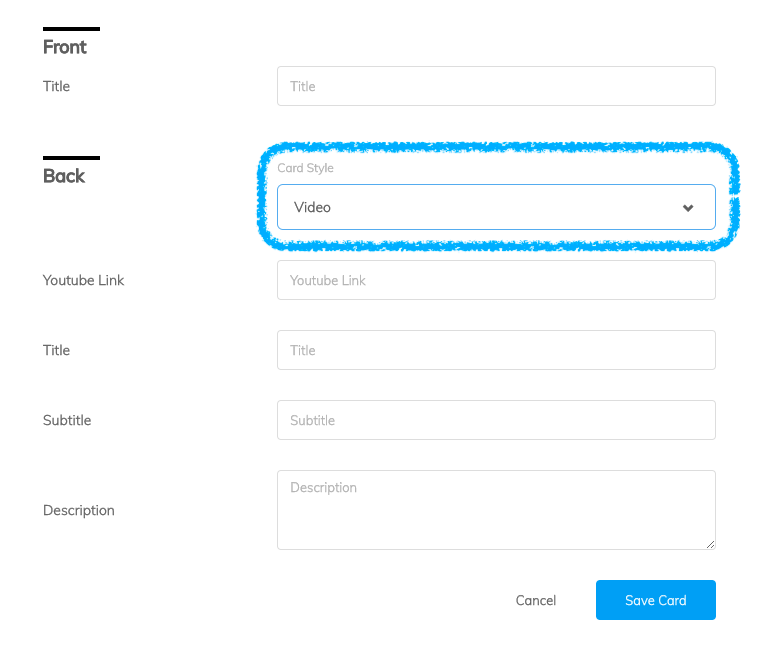 If you would like to use a video instead, then select “Video” under “Card Style”. Selecting that will allow you to enter a YouTube video URL into the “YouTube Link” box. 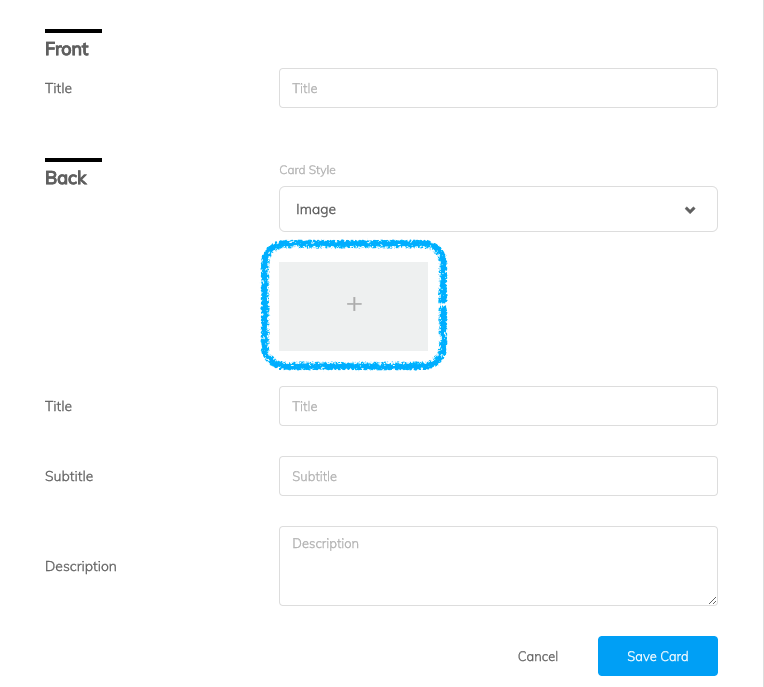 Regardless of if you choose an image or a video, both will display above the flashcards’ content. 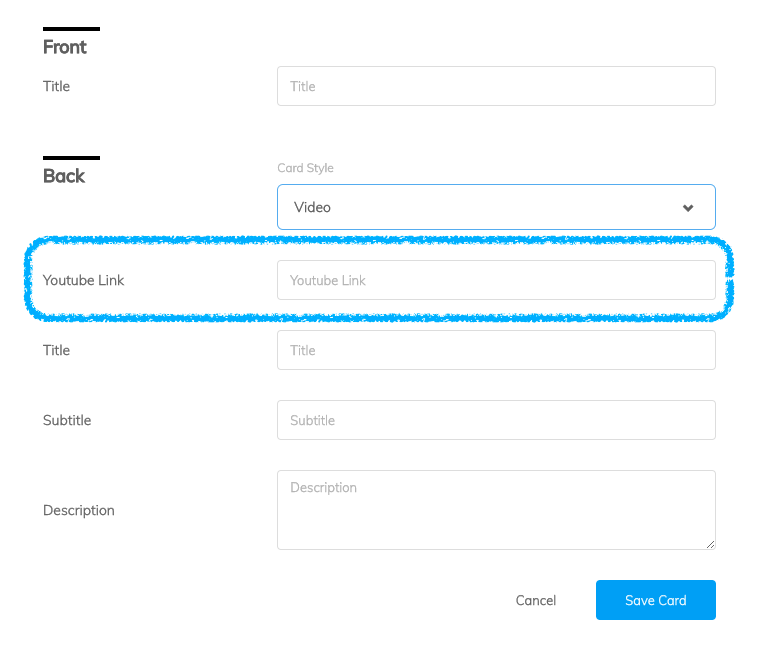 Now that you’ve set up the graphics for your flashcard, you’ll want to fill out the Title, Subtitle, and Description of the card in their respective sections. The subtitle is optional, but the title and description are required for the card. 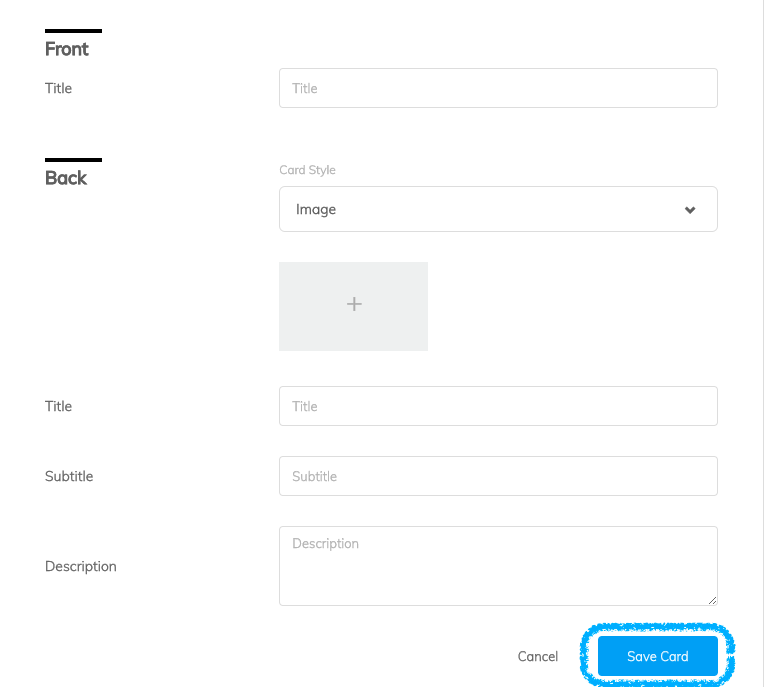 Once you’ve finished creating the card, click on “Save Card” to save your changes and add that card to the Flashcard feature. Next we’ll go over how to edit the flashcards’ front-side graphics. 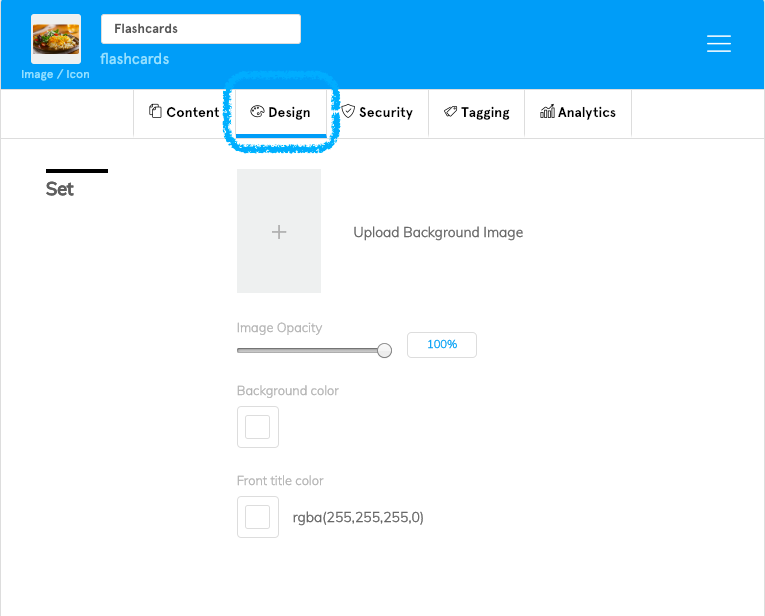 If you would like to change the graphics on the front-side of your flashcards first you’ll need to click on the “Design” tab. Once there you have a couple of options for the front-side of your flashcards. 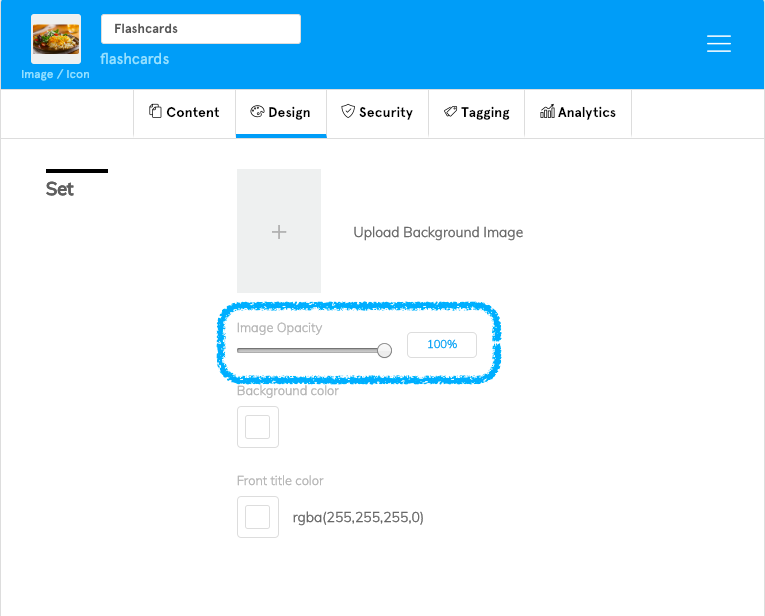 You can upload an image by clicking on the gray image box which will bring up the media library where you can either upload a new image to use, or select a previously uploaded image. 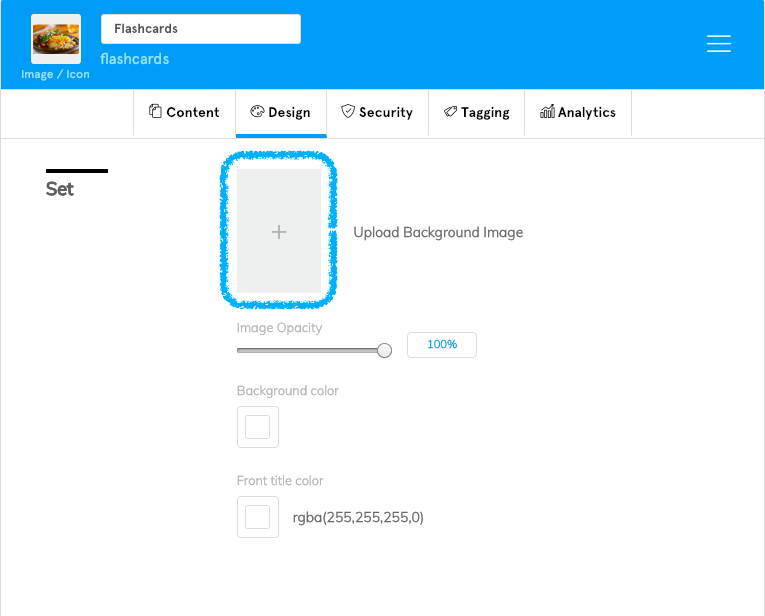 You can adjust the opacity of the image with the slider underneath the background image box. Alternatively you can have a solid color or two color gradient as your flashcards’ front-side. 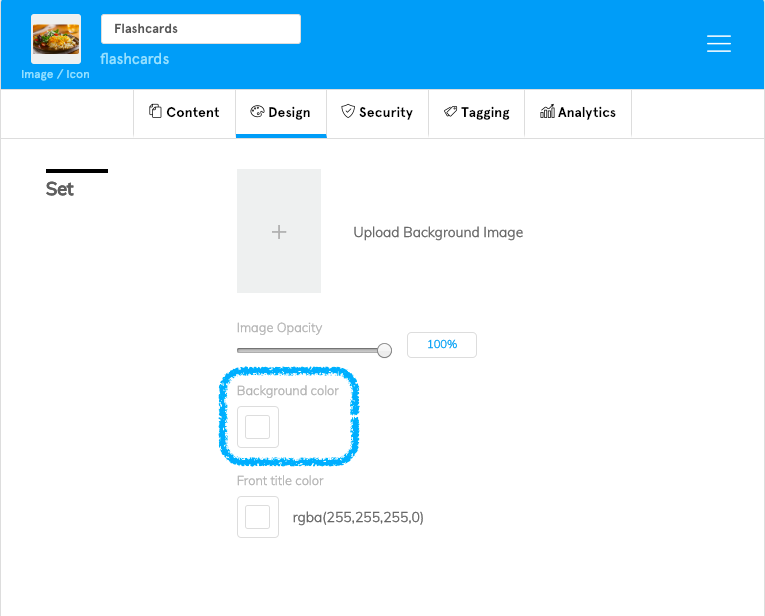 To do this click on the box under “Background Color”. 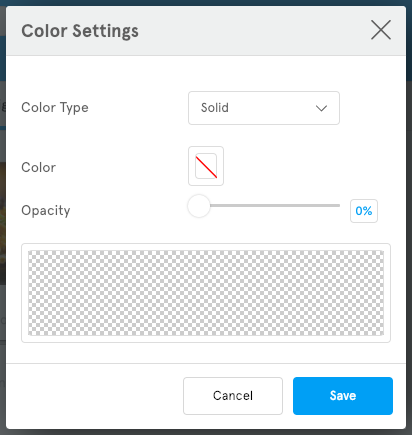 This will bring up the color editor where you can switch between a solid color and a gradient, select your background color, and change it’s opacity. 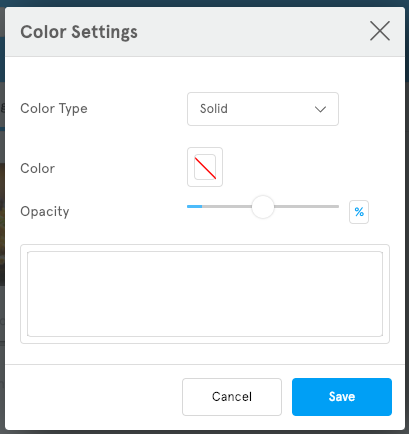 If you change the color type from “Solid” to “Gradient” you’ll be given different options in the color settings so that you can create almost any two-color gradient that you can think of. 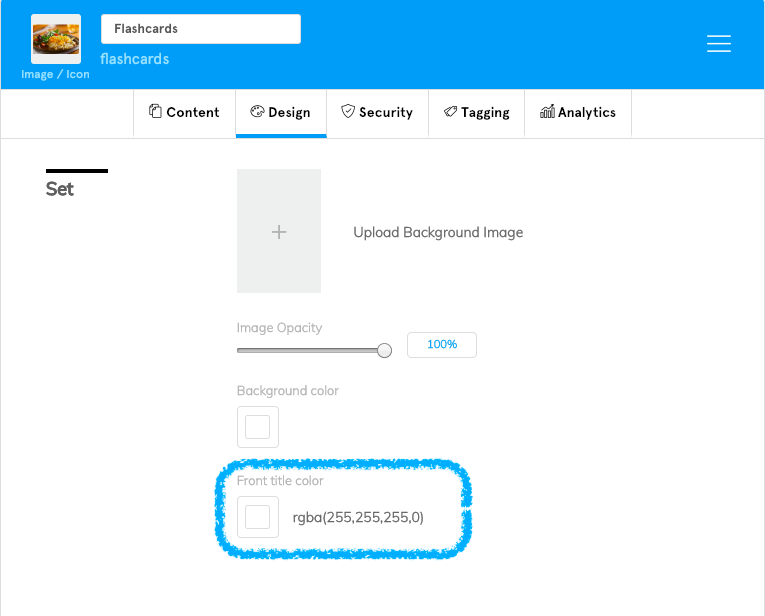 Just like the background color, you can change the color of the text that displays on the front-side of your flashcards by clicking on the box under “Font Title Color”. 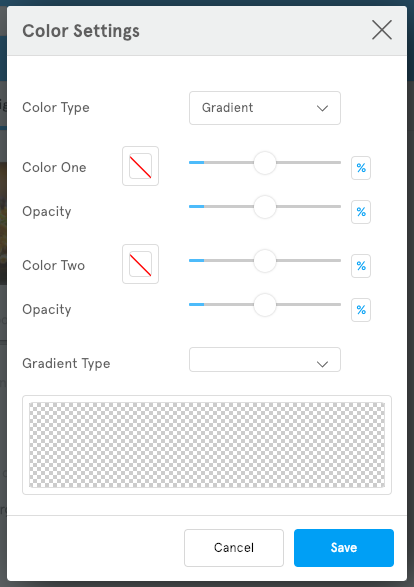 This will bring up the color settings for the front-side text color. Note: If you don’t want any text to display on the front-side of your flashcards you can set the opacity of the font color to 0% which will make it disappear. What’s a Pro Tip you should know about to take your app to the next level? We’ve provided just a couple of examples of how to use the Flashcard feature, but there’s plenty of other outside of the box ways to use this great feature. Now that you know how to use it, it’s up to you to come up with some awesome ways to use it!